This past winter, Mayor Summers had proposed a City Youth Council consisting of the kids that go to Lakewood High School. This council will tackle problems within the community while trying to find solutions for those said problems. It will be made up of a diverse group of students that will be sure to represent those residing in Lakewood. 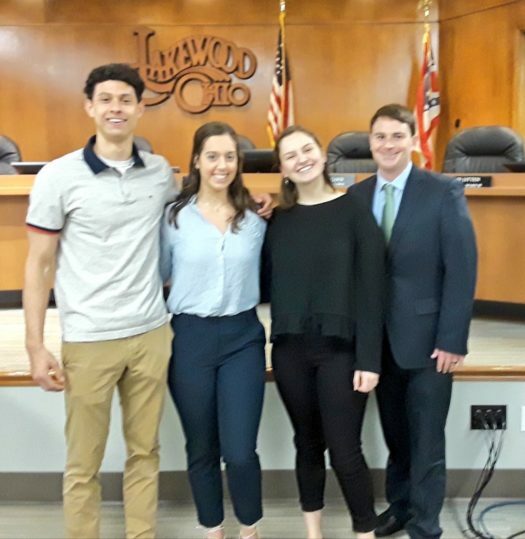 This past Monday, January 14th, three students from Lakewood High School attended a city council meeting to talk about the Council. Grace Gill, Jack Hueter, and McKenzie Lane sat in and gave their opinions and what would be best for the council itself. While nothing is set in stone the Youth Council will most likely consist of ninth to twelfth graders, it may even include students from catholic schools, such as St. Eds or St. Joes, around the area that reside in Lakewood, and maybe even a few middle schoolers. The council members and Mayor Summers are extremely excited to implement such an exciting and new program in Lakewood. Though we are not the first city to do this, Lakewood is the perfect city due to how politically active the students within our district are. Overall, this is a fantastic opportunity to even further bring the students of Lakewood together and embrace the diversity we contain.